I am currently accepting applications for a limited number of very exclusive spots in my Business Success Mastermind Program that, if your application is successful, will transform your business from daily grind – to one that is easily able to grow and make more profit without you having to be there each day. 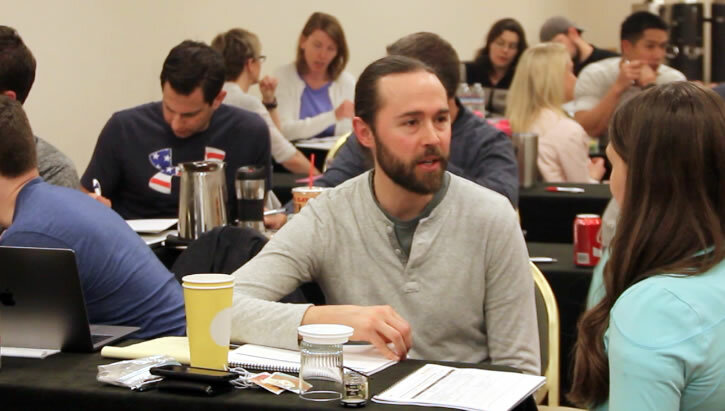 If your goal is to own and run a real business – one that works for you whether you are there or not – then this Mastermind Program will help you to do that. The first thing I need you to know is that this 12 Month program is NOTHING LIKE my "Accelerator" or "PT Business Growth School" Programs. Those Programs were about Marketing and Automated Systems. This Program is about YOU – and showing you what it takes to be able to grow and build a REAL business. One that can make you more profit and give you more time freedom so that you’ll be able to do "simple" things that many business owners can’t - like leave town for a few days and still have a business to come back to! Your contribution to the group is VITAL. That means not everyone will qualify to join us and to be one of the ones chosen, you must already be a Physical Therapy Business Owner and what matters most is NOT so much the size of your current revenue – but the size of YOUR AMBITION. You must understand the importance of learning to recognize and solve the right problems in your business - and you must be open to growing. There is significant investment required; investment of your time, energy and money. You will need to COMMIT, RISK and STRETCH in order to be successful in this program. What you will receive is ONE FULL YEAR of Business and Entrepreneurial Mindset coaching from Paul Gough and his expert team that will take you from confused and overwhelmed (not knowing what you don’t know about business) to happy, successful and more profitable Physical Therapy Business owner feeling more confident and clear about the purpose of owning your business. You will be completely set up to deliver MORE VALUE to your clients and staff – and, collect more PROFIT and find more TIME for yourself and your family. Weekly, in-depth LIVE Q and A calls with Paul Gough and his support team. This is an important part of your membership as it enables you to get ongoing weekly support from Paul. You can bring your challenges and questions to the weekly group calls and Paul will personally support you. Note: Most members learn more from hearing the challenges and questions that the OTHER members bring to these calls. Exclusive Marketing Master Classes - these will take place both at the live event and between the meetings, recorded on video to watch at your convenience. 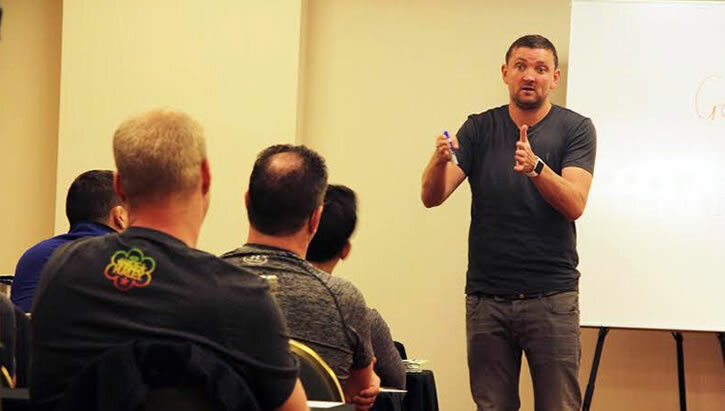 The Master Classes are designed to give you all the knowledge, skills and strategies you need to ensure you have all the marketing and online marketing knowledge for extraordinary results. The Master class curriculum includes an-depth focus on "Cash-Pay" Marketing and we will cover things like: Facebook Advertising, Google Pay Per Click, Direct Mail, Email Marketing, Offline Marketing, Office Staff Training and Time Management. Big saving on all other training courses and programs and seminars for the lifetime of your membership. Access to the online training VAULT – you’ll be given your own personal login to the Members area website to access all the previous trainings, master classes and coaching calls. * ‘911’ Emergency Access to Paul and his team - if a major problem, challenge or issue comes up, contact Paul directly on his personal email. This is the most important business insurance policy you can ever own. "Want To Know What Happens When You Join Paul Gough’s Program?" Kevin Vandi, Competitive Edge PT, San Jose (Ca) - achieved TRIPLE revenue growth and now works 25 hours LESS that is spent with the children since joining Mastermind! Carrie Jose, CJ Physical Therapy & Wellness, Portsmouth (NH) - month on month revenue growth, bigger premises, recruitment success, less time with patients - and more time running a business since joining Mastermind. 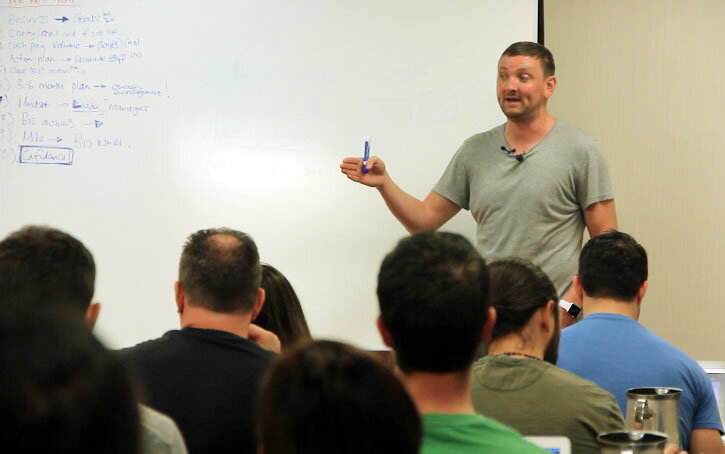 Nick Hunter, Preffered PT, Phoenix (Az) - 100% increase in profits inside 5 months, 2 staff PT hired and more time spent at home with his beautiful family since joining Mastermind. Nancy Branberg, PT, Alexandria, (Va) - “Brand new cash business owner that was given the confidence to raise her rates by $50 - within one week of joining Mastermind”. If you would like to achieve results like this, please Apply by filling out the sort form on the page after you press the blue button below. This 12 Month Program is only for people who are serious about adding a minimum $100,000 to their income. For those who join, this experience will completely revamp how your business is run in the next 12 months. Given that I'm revealing everything that has taken me 10 years to acquire - this program could easily be priced at $40,000 or $50,000. But to make it accessible to the right people, including those wanting to launch a successful Physical Therapy Practice from the get-go, the program is just $12,500. You can split the payment into 12 monthly payments of $1,097. Polite Warning: There IS HIGH DEMAND for this Program and we only make enrolment available if and when a spot in the group opens up. There is a huge focus on "mindset" – and shifting the way that you currently think about "profit" and "success". You will develop what I call the "Millionaire Mindset" – the type of thinking that is needed if you want to bust through your income ceiling and into the next bracket. I know that money is a "taboo" subject in the healthcare field - and yet it is the one thing that makes running a business and being able to give back to your patients – and achieve lifestyle freedom - easier. If you are offended at the talk of "money" and making "more profit" – then please do not apply. You will hate this program. And that’s because we will frequently challenge you to do things like raise your rates and find more take-home profit in your business. As an added bonus, you’ll learn how to stop worrying about being judged or concerned about what others think about you - and you’ll soon discover how to become more decisive with decisions when it comes to important things like raising your rates, dropping insurance companies or firing un-productive staff. We will be going through the replies to this invitation in the order in which they are received, so please let us know you would like to join me in the program by clicking the button below now. I look forward to reviewing your application. "Just enter your details and we’ll instantly send you the application form for the Business Success Mastermind Program”.